James Jakins is joining us once more to talk about the effects D&D had on writing Jack Bloodfist: Fixer. I released Jack Bloodfist: Fixer in October of 2015. In the two years since I introduced Jack to the world I’ve thought a lot about that book and its characters. I’ve come to realize a lot of things that, as I wrote the book, were only present in the back of my mind. 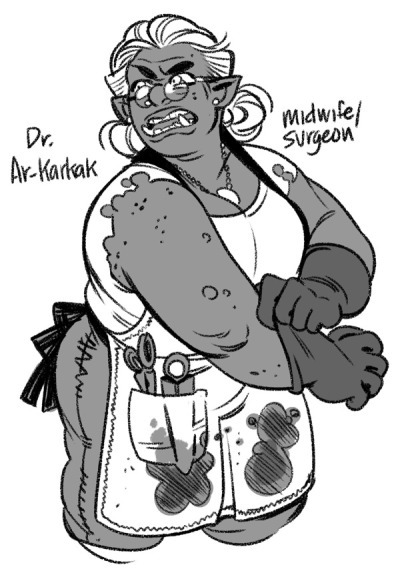 So, to stick with the theme of D&D that this Orctober is taking, I am going to admit something that a lot of my readers have probably already realized: Fixer is basically a D&D novel. There was one aspect of the book, while writing, that I consciously borrowed from tabletop gaming(Other than the classic Fantasy Races): There is a squad of mercenaries that Jack encounters. When I developed those characters I specifically chose classes for them. There was a healer, a ranger, a fighter, a wizard, a barbarian. It was all under the shiny veneer required for them to fit into the Urban Fantasy setting, but ostensibly they were the traditional adventuring party. But other than that, everything else that happens in the story is my attempt at subverting the common tropes found in your standard campaign. The most obvious is the characters. My hero is an orc. 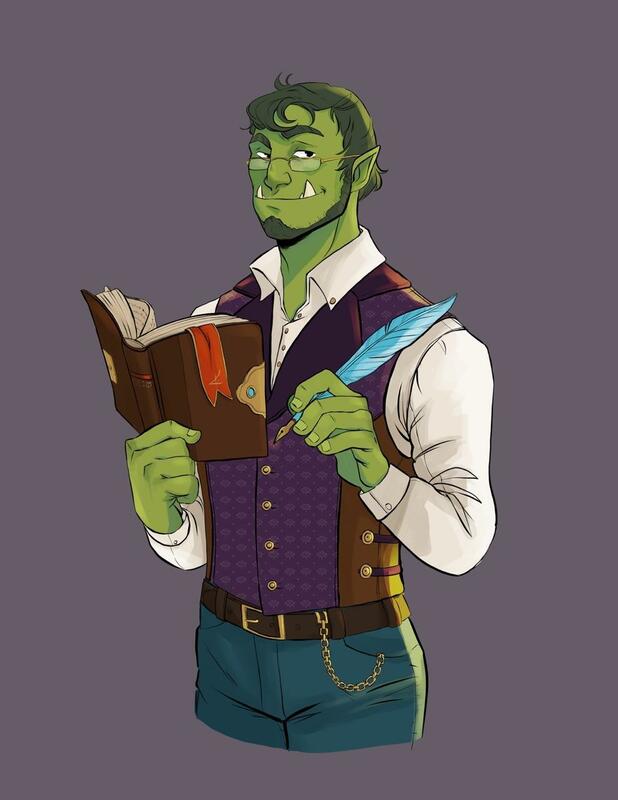 Half-orc, half-goblin. Two races traditionally only used as fodder for a party of heroes to cut their way through for the purposes of getting EXP and loot. 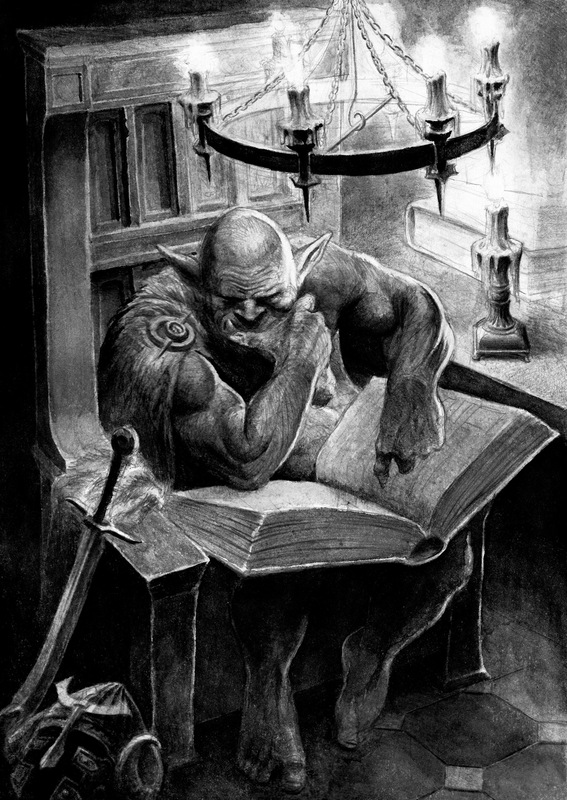 The other characters that round out his inner circle are more likely to be found in the Monster Manual than the Player’s Handbook. The antagonist is a paladin in the service of a god of justice. The type of character more likely to be represented as a hero. Hell, his motivation is even revenge for the desecration of his temple. I’m not a hundred percent sure, but I think I took that from a “Cool character backstories” article or something. But he’s the villain of this story. His methods are more monstrous than any the orcs might resort to. The point is, that in one way or another, every character was inspired by my time sitting around a table rolling dice with friends. I’m going to just focus on Jack for now, and discuss how my experience as a player and Gamemaster shaped who and what Jack became as I wrote Fixer. He asked if the goblins were the good guys. They weren’t, and I realized that was a mistake on my part, so I began the process of creating a story where the goblins could be the heroes. Eventually, as the process continued, my hero became an orc. 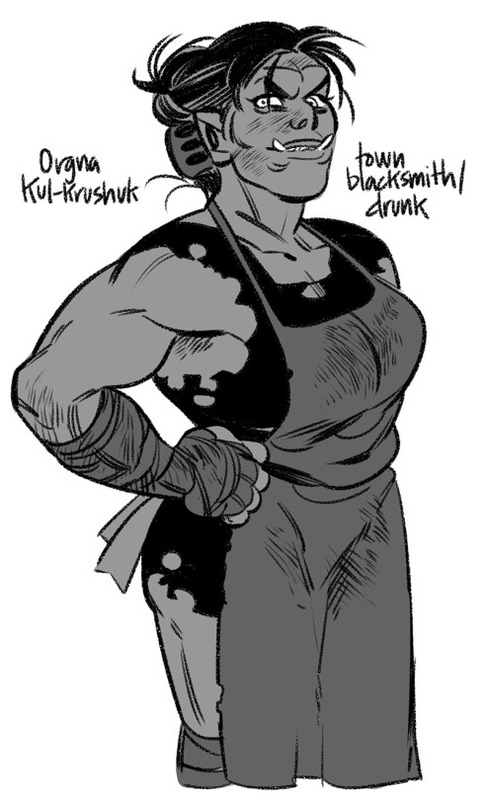 The orcs of Summervale are, for the most part, honest and hardworking. They’ve found their niche in the hierarchy of their home and are comfortable there. But that wasn’t always the case. 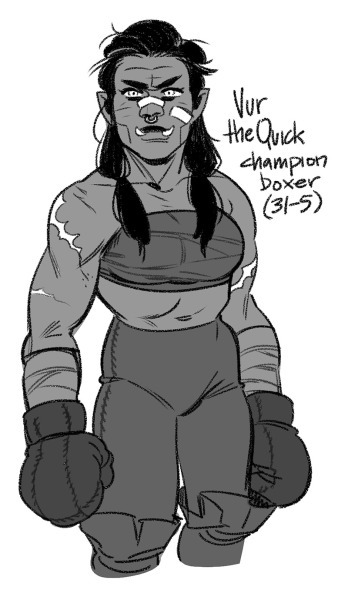 The orcs in Fixer aren’t native to the world they live in. Before coming to Earth they lived as bandits. They were exactly what orcs always are in most RPG campaigns. Why? Because the world they lived in was the generic fantasy setting. They didn’t want to be the villains, but they also didn’t want to starve. Their choices were to become mercenaries and fight in wars they had no stake in or to be their own masters and carve out a small piece of the pie by taking from others. That trope is something that has always bothered me a little bit whenever I’ve played fantasy RPGs. Why should the orcs and goblins always be the first choice whenever a party of PCs needs a sidequest? So, in Fixer, I included the story of Jack’s father, Garack, the infamous bandit, as he played his part to protect his people. It was him that brought the orcs and goblins to Earth so they wouldn’t have to be what their world wanted them to be. 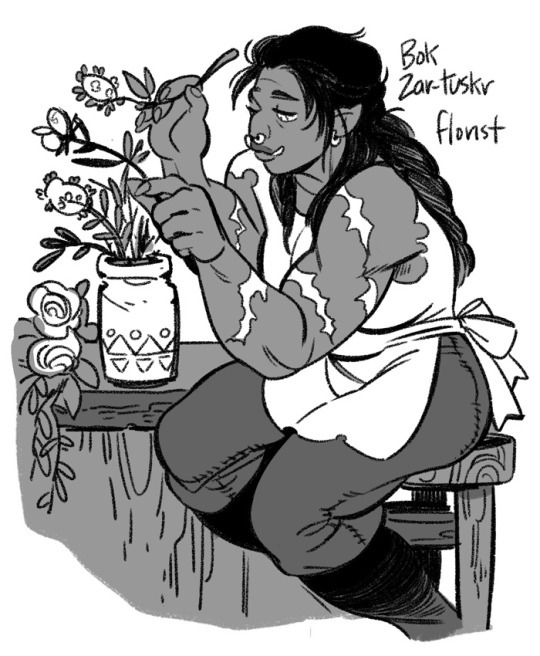 So, Jack is an orc living in a world that, for the most part, lets an orc be whatever he wants to be. That’s the world I want to live in, so it’s the one I created. Then there’s the issue of Jack’s “class.” I’ve always believed that bards are the best. Don’t argue, you know I’m right. My original intent hadn’t really been to give Jack a class. My plan had been for him to be a classic adventure/thriller protagonist. A resourceful-but-still-regular guy up against impossible odds. Then he started acting like a dork in his narration. Without quite realizing it, in creating Jack’s unique voice, I made him as big of a nerd as I am. He was quoting comic books, referencing anime, collecting RPG rulebooks for “research” purposes. In short, he was the bard of his little party. It was patiently explained to me that while every other class has to at least pretend to accept the seriousness of their quest, the bard is allowed to acknowledge, from the start, that they’re stuck in a comedy. They’re the class made for breaking the fourth wall. At least, that’s how it is at my table. Jack is more aware than he probably has any right to be that he is telling the reader a story. He’s a storyteller and he wants you to be entertained. He also happens to have magic singing powers, but that’s not really the point. The point is that he’s an orc bard that has to save his family from murderous paladins. You gotta admit that sounds like something you might hear around a game table. You can find James around the web at www.jamesjakins.com, on twitter @bethteva, or on Patreon.